The accredited, UC Davis part-time MBA is a transformational experience specifically designed for working professionals to accelerate their careers, expand their networks and make an impact. 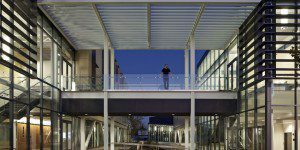 The UC Davis part-time MBA program features the same curriculum and confers the same degree as the UC Davis full-time MBA Program. It can be completed between 24 and 48 months. With two convenient campus locations and class schedules to choose from, students experience hands-on learning in a close-knit, collaborative environment that strengthens their professional and personal networks. The San Francisco Bay Area MBA program campus is located at the Bishop Ranch Business Park in San Ramon. The Sacramento part-time MBA program campus is located at the Education Building at the UC Davis Sacramento campus. Classes are offered on a weekend format, with most classes meeting 2 to 9 p.m. on alternating Fridays or 9 a.m. to 4 p.m. on alternating Saturdays, with breaks and meals. The UC Davis part-time MBA degree requires 72 units of coursework, comprised of 27 units of core courses and 45 units of electives. The required core curriculum is designed to provide a foundation in the functional areas of business-accounting, economics, finance, marketing, organizational behavior, statistics and strategy. These management disciplines are examined through the use of case studies, lectures and the analysis of a few select companies on which to base illustrations and spark discussions. As early as the first year of study, students are able to integrate elective courses into their personal curriculum. Students have the option to pursue a general management study or to choose a functional concentration guided by a suggested series of elective courses. Most students choose functional concentrations such as: Business Analytics and Technologies, Entrepreneurship/Innovation, Finance/Accounting, General Management, Marketing, Organizational Behavior, Strategy, or Technology Management. The curriculum is anchored by IMPACT, a two-part capstone course in Integrated Management Practicum and Articulation and Critical Thinking. Students demonstrate these collective business skills and knowledge by working on 10-week consulting team projects for partner companies ranging from Fortune 500 firms to ultra-fast-paced Silicon Valley startups. Summer courses are available to students who wish to complete the program in on a Fast-Track in two years. Most students complete the degree in three years. The most recent UC Davis part-time MBA class is 41 percent female and 59 percent male. The average GMAT score is 579 and the median undergraduate GPA is 3.1. On average, students have 6.9 years of professional experience when they begin the program. The average age of students enrolled in the MBA programs is 31. Fees for Bay Area MBA students entering are $1,680 per unit. Fees include course fees, books, meals, parking and access to all UC libraries. Students are required to complete 72 units for the degree, the cost of which is currently $120,960. Fees for Sacramento MBA students are $1,360 per unit and include course fees and other materials. Students are required to complete 72 units for the degree, the cost of which is currently $97,920. A limited number of donor scholarships are available each year. Students apply in the fall and the Scholarship Committee announces the recipients in the winter. Each year, the Graduate School of Management Alumni Association awards scholarships to three students, one from each MBA program. Students are nominated in the fall and the Alumni Scholarship Committee selects the recipient. Direct loans are made by the U.S. government and are administered by the U.S. Department of Education. Private Sector Educational Loan Programs provide both fixed-amount loan programs and revolving lines of credit. Applicants to the MBA programs must have completed a Baccalaureate degree or recognized qualifications equivalent to a degree. To apply to the UC Davis part-time MBA program, applicants must submit a completed application form, official copies of transcripts from each institution attended, current résumé, and two professional letters of recommendation. The school also requires applicants to submit one essay and one personal introduction. Official GMAT score or GRE scores must also be sent in by applicants, along with a $125 application fee. There is no minimum GMAT/GRE score requirement, and a GMAT waiver may be available for students.